We have done all the planning for you. Happy exploring! Sydney is a fantastic city to discover. It has all the elements for an amazing city break: stunning views, history, iconic landmarks and great attractions for children. According to the annual US News & World Report, Sydney is the second best city of the world to visit. Keep reading this guide and discover why. 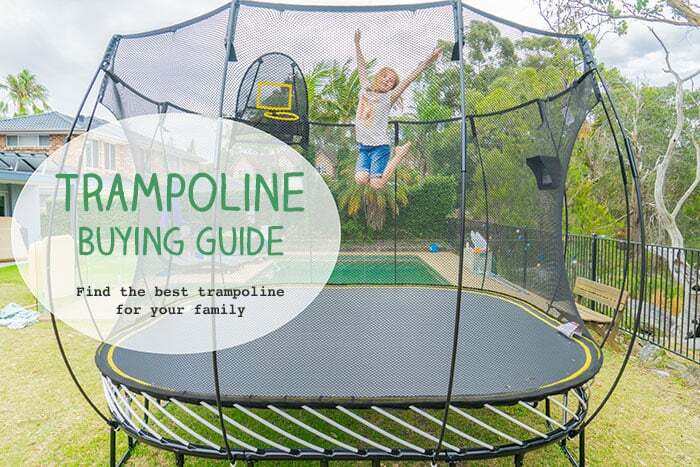 This guide is ideal for families from interstate or overseas who are visiting Sydney for the first time. 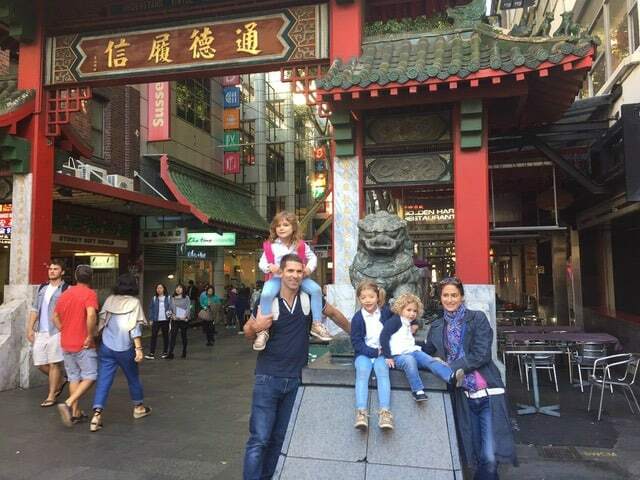 The guide is also great for Sydney families who are hosting visitors, as when my parents visited us recently. Each day has a realistic itinerary with choices to add or take away, depending on your needs. Click here to discover Hello Sydney Kids’ favourite kid-friendly cafes and restaurants in Sydney city centre. For budget meals, the food courts of shopping centres offer all sorts of fast food. Highchairs and baby changing tables: Australia is a very child-friendly country. You will find lots of cafés and restaurants with highchairs and even toilets for families. Sometimes the changing table is located in the disabled toilets. 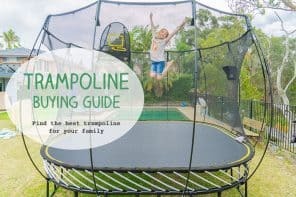 Read this article for how to keep kids sun safe in Australia. Bus: Besides the regular public bus lines, there is the Hop on-Hop off Tourist Bus Service (children under 5 are free, family tickets available). 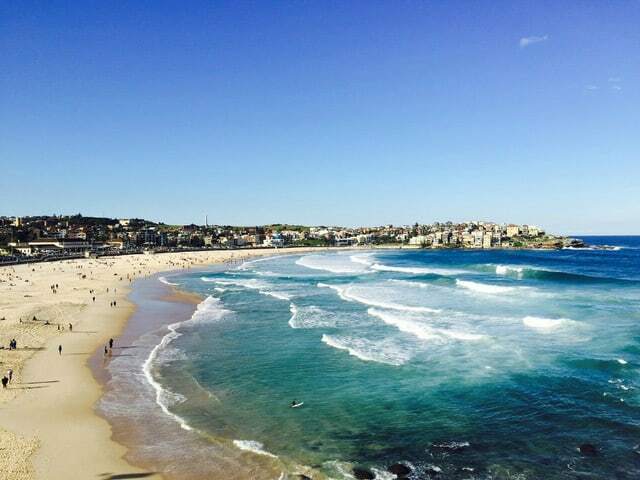 Find the details here – Sydney and Bondi Explorer Bus. 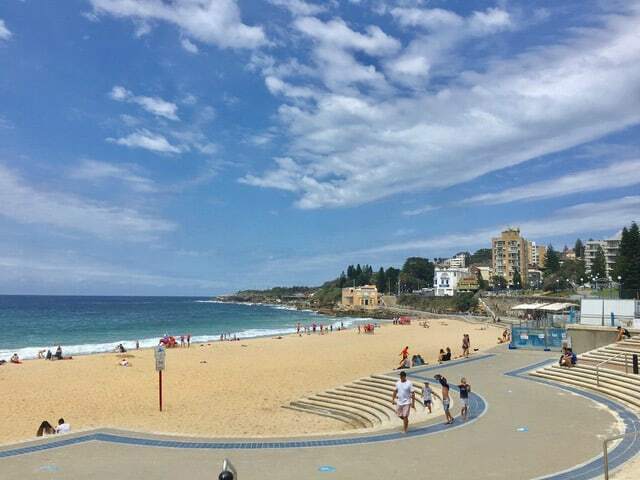 ‘24h Hop on-Hop off Pass’ with 10 popular harbour locations and including Manly Fast Ferry Service. ‘2h Sightseeing Cruise’ – a circular tour that allows you to enjoy the best views of the harbour. 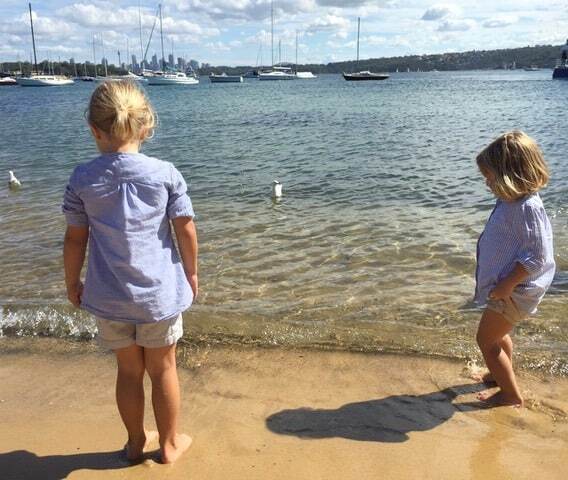 Alternatively, read our article about the best kid-friendly Sydney Harbour cruises. Train: If your children are not good bus or ferry travellers but they love trains, Sydney has a decent network of public trains including the light rail system. You will need to purchase the Opal Card. Note that if you have been in a major European city, be aware that you might find Sydney a bit behind in regards to its network of public transport. If you don’t want to rent a car, Sydney Trains offers day trips to the beautiful Blue Mountains, Southern Highlands, Hawkesbury Region, Central Coast up to Newcastle and South Coast including popular destinations such as Wollongong or Kiama. Other important details: If you plan to see more than one attraction, you might want to compare prices and take advantage of the ‘Merlin Entertainment – Combination Passes’ or the ‘Entertainment Book 30 Day Holiday Membership’ (only for current members). Useful apps: ‘TripView App’ allows you to plan your public transport trip on your mobile phone. You can access information for Sydney buses, trains and ferries. ‘Opal Card App’ is another public transport tool that you might want to download. 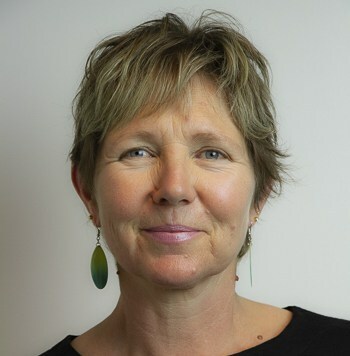 Mum’s report: Although Sydney is a big metropolis, the CBD (Central Business District) is quite small in comparison with other cities such as Paris, New York, Rome or even Barcelona. If your children are used to walking, you can visit Sydney CBD on foot. 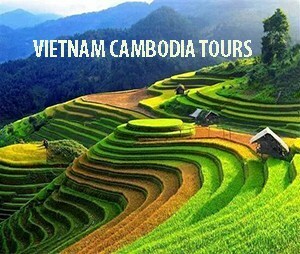 Follow the itineraries of this article, or mix and match. There is plenty to see! 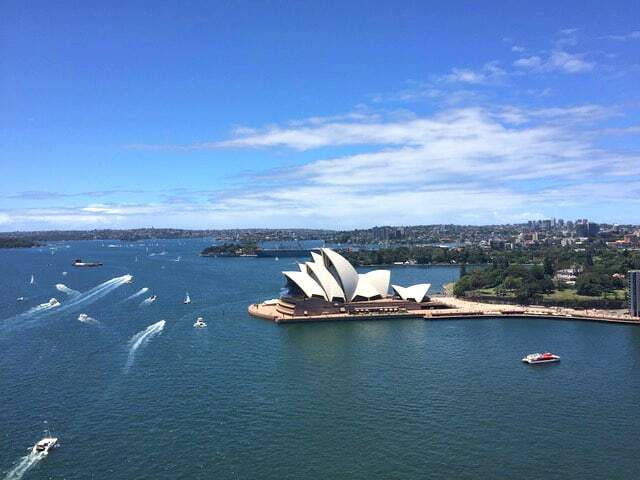 It is impossible to get bored in Sydney! Note: Day 1 is not totally pram-friendly, although there are not too many steps. 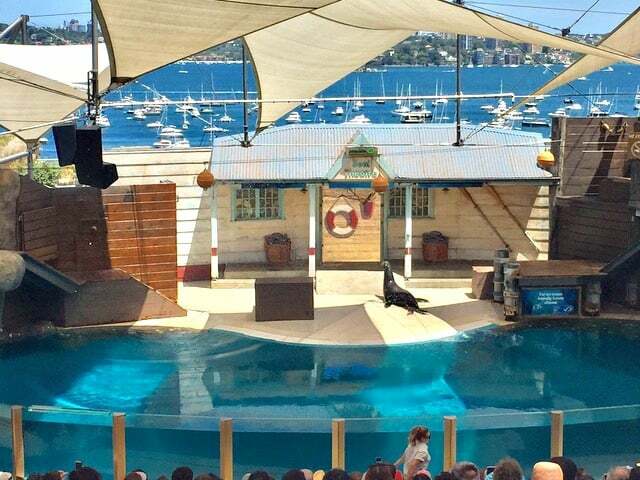 What to do: Darling Harbour – home of Sea Life Sydney Aquarium, Wild Life Sydney Zoo, Madame Tussaud’s, the National Maritime Museum, the Carousel, the adventure playground in Tumbalong Park and much more! For tourist attraction lovers: Taronga Zoo (ideal for little children) or Luna Park (better for older children). 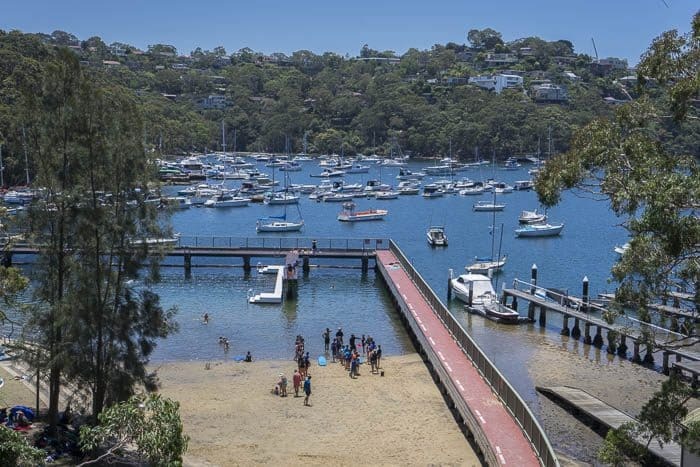 Other ideas: go on a harbour cruise, plan a day trip to the Blue Mountains, live like a Sydneysider and spend a day in Manly, Watsons Bay, Bondi or Coogee, or discover Centennial Park. Explore the Art Gallery of NSW, or the Museum of Contemporary Art Australia, or the Rocks Discovery Museum. This itinerary allows you to see Sydney in all its splendour while still having some fun along the way. The views of Sydney Harbour from the Cahill Walk and the Sydney Pylon Lookout overlooking the Sydney Opera House are unbeatable. This great article has more information and photos of this walk. Access the Cahill Walk from Cumberland Street. It starts on the left hand side looking at the Harbour Bridge. You can walk on the Harbour Bridge pedestrian way until reaching Millers Point, or you can stop at the Sydney Pylon Lookout. Inside the Pylon, there is a fascinating exhibition about how the bridge was built. Photos of the construction process are on display and you can even watch a short documentary. 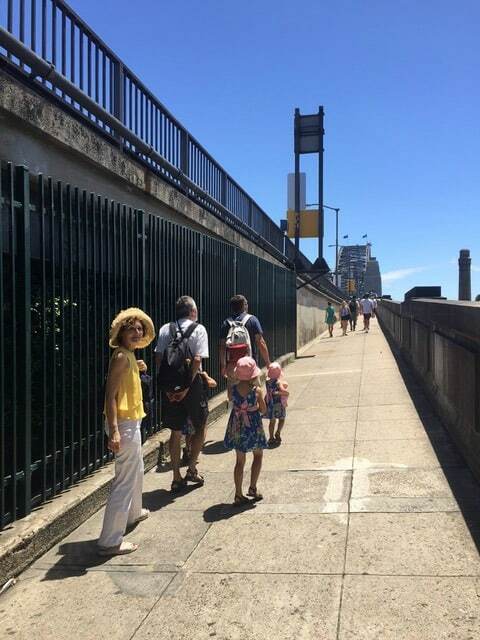 Find out more details about the Sydney Harbour Bridge Walk here. Then, discover the old Sydney. The Rocks is full of history. You will find several informative signs along the way that will allow you to imagine how Sydney was many years ago. The Rocks is a good area to have a bite if you are hungry. There are plenty of cafés and restaurants. For example, in the Australian Heritage Hotel you can try one of 130 Australian craft beers and you can eat its famous crocodile or kangaroo pizza! If this is not for you, Pancakes on the Rocks is a great option with children. Phillips Foote is another place worth discovering with its colonial charm. Cook your own steak or enjoy a delicious meat pie. Stroll along Circular Quay and admire the Opera House from different angles. During school holidays there are lots of good shows for children and also free activities in the foyer. 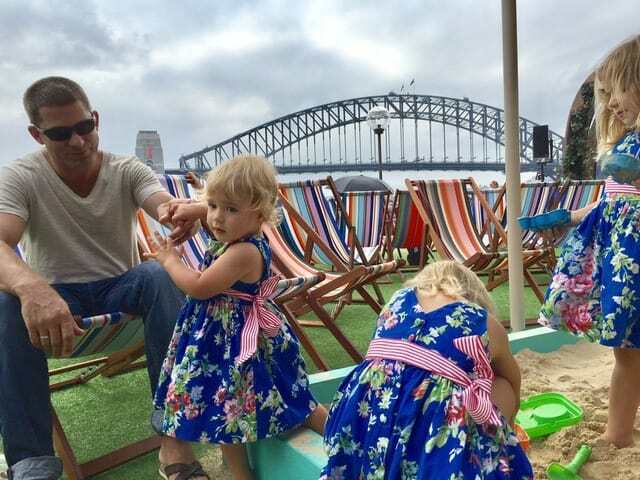 During summer enjoy the child-friendly set-up area that overlooks the Harbour Bridge: a sandpit and live music, a paradise for parents that want to enjoy a beer with million dollar views and have a well deserved rest after the sightseeing. Don’t you think? For children that have an interest in the arts, book the Junior Adventure Tour of the Opera House (only during School Holidays), but you might need an extra day to do this, or start this itinerary from the Opera House instead of the Harbour Bridge. Tours are in the morning and at midday. The adult tour is very interesting too, and I believe that it is suitable for teenagers. Finally, as you know, one of the best antidotes for cranky and tired little children is ice cream. There are several ice cream shops in Circular Quay. This is one of the reasons why we have done this itinerary several times starting from the Harbour Bridge instead of starting from the Opera House. It might sound silly, but it works. Alternatively, you can reward your little children with a ride on the little train in the Royal Botanic Gardens – the Choo Choo Express, which stops at Mrs. Macquarie’s Point for the last photos of the day. Or, reward your older children with a ride on the Thunder Jet Boat. If you need another break while you are visiting the Royal Botanical Gardens, the Botanic Gardens Café offers a selection of gourmet sandwiches like the croque monsieur (it was delicious!). To finish the day, walk back to the Opera House, wait for the sunset and enjoy the Sydney Opera House sails lit up with Indigenous art. This itinerary is designed to extend the experience of Day 1, as it again combines stunning views and history. 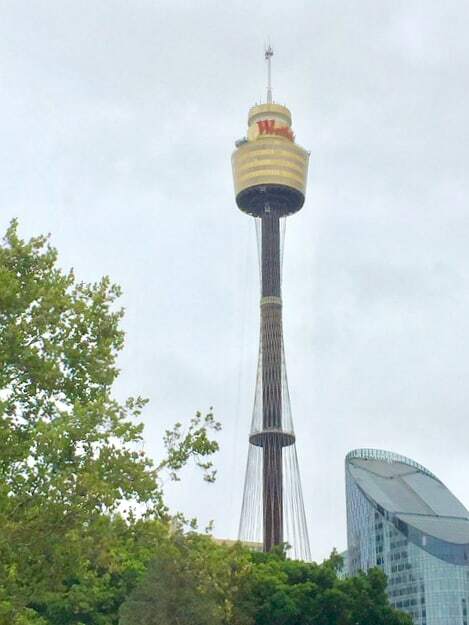 For families that prefer more popular tourist attractions, go to the Sydney Tower Eye and combine it with the attractions of Darling Harbour (see Day 3 for detailed information). 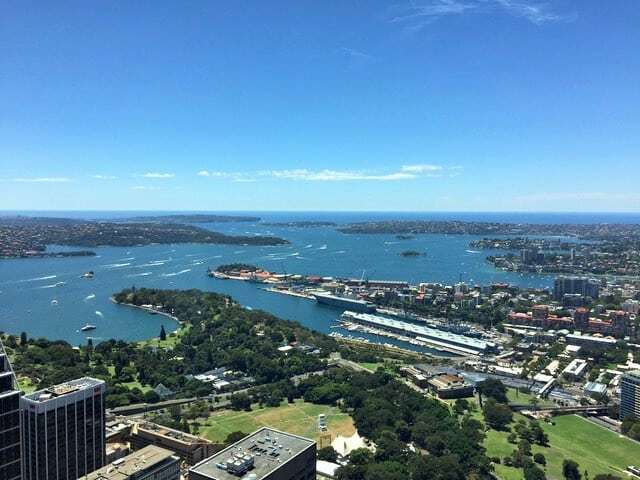 If you do, don’t forget to purchase one of the attraction passes at the Sydney Tower Eye. Or buy online and save! I suggest starting with the “boring part”. Your children might not find it very exciting to visit a cathedral, but St. Mary’s, built of local sandstone in the nineteen century, is a beautiful Gothic-style Catholic Cathedral. Stretch your legs walking through Hyde Park. Stop at the Anzac Memorial and explain to your children why this place is so important for every Australian. Although the Anzac Memorial Centenary Project will not be completed until November 2018, it can still be visited. Access to the Memorial’s Hall of Memory during construction is via stairs located on the northern side of the building near the Pool of Reflection. Lift access to the Hall of Memory is available, however visitors will require staff assistance. Please contact the Anzac Memorial to organise your visit. Phone numbers: 02 9267 7668 or 02 8262 2900. After visiting the Sydney Tower Eye, it might be lunchtime. Food on Five is on level 5, the same level as the exit of the Sydney Tower Eye. This food court is heaven despite not being the cheapest. Or if you have little children, another suggestion is Cellini’s Bar Restaurant on the top level of the Queen Victoria Building. 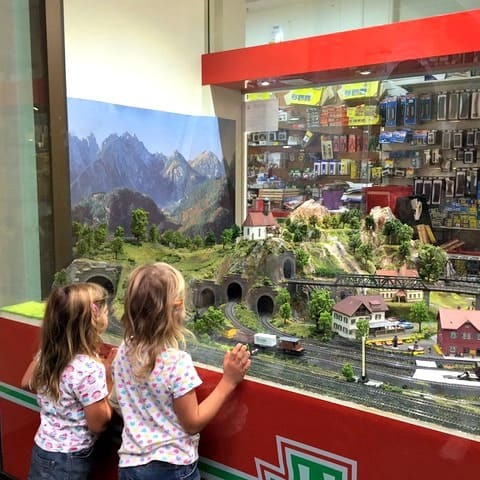 Grab one of the tables that are next to the windows of Hobby Co.’s model train exhibition. Hobby Co. is not an ordinary toy store; they have a huge variety of unique toys, models and games. On the same level and not too far from Hobby Co. is another toy store worth visiting, White Toys. My daughters love it because you can actually see the toys; they are not hiding inside boxes. If you had already planned a shopping spree, you don’t need to move. Pitt St Mall, David Jones, Myer and the aforementioned Westfield Sydney are at your doorstep. Shopping with my three little daughters is a nightmare now, but I can picture a totally different situation in five years time…my girls and I going to the shops and hubby might have to make his own plans. 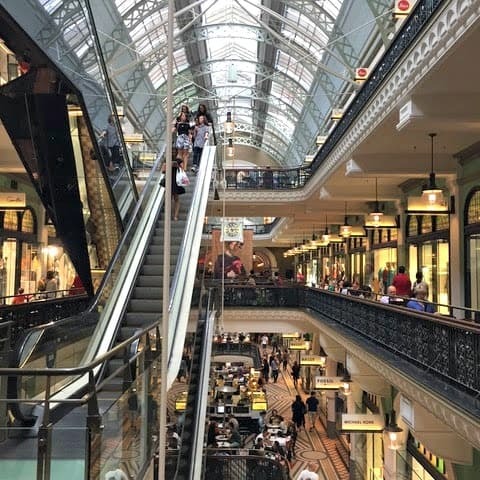 But if shopping is not on your list, why don’t you spend the rest of the day exploring the Australian Museum or the World Heritage listed Hyde Park Barracks Museum? Both museums are open until 5pm. The Australian Museum is a perfect museum for kids of all ages. You can easily spend half of the day in this museum learning about natural history. Also, it is good for very young families as they have a space dedicated for kids under 5. And if you feel that you need another cup of coffee, the café No. 1 William on the top level of the Museum has great views of the skyline of the city including St. Mary’s. The Hyde Park Barracks Museum might be more suitable for older kids to understand the meaning of a convict and to learn about this chapter of the history of Australia. It has excellent reviews but we have never visited it because our children are young. According to the Little Munch blog, the café is good and there is plenty of space for the kids. You can easily spend a full day or even two in Darling Harbour. Darling Harbour is home to Sea Life Sydney Aquarium, Wild Life Sydney Zoo, Madame Tussaud’s, the National Maritime Museum, the Carousel, the adventure playground in ‘Tumbalong Park’ and much more. Here is a detailed guide of all the things that you can do in Darling Harbour. I can highly recommend the Sea Life Sydney Aquarium and the National Maritime Museum. 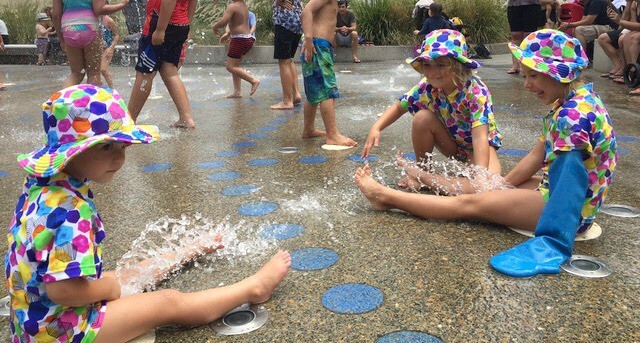 The adventure playground in Tumbalong Park can be jam-packed at the weekends, especially in summer, as there is a water play section. My advice, try to go in the morning during a weekday. Find all the information you need here – Darling Harbour playground or Darling Quarter playground. Although Sea Life Sydney Aquarium and the National Maritime Museum are still good attractions, older children might have fun in Madame Tussaud’s. The construction of the new IMAX will not be completed until 2019. Although the screen will be slightly smaller than the old one, it will still have the biggest screen in the world and will be equipped with the newest technology. 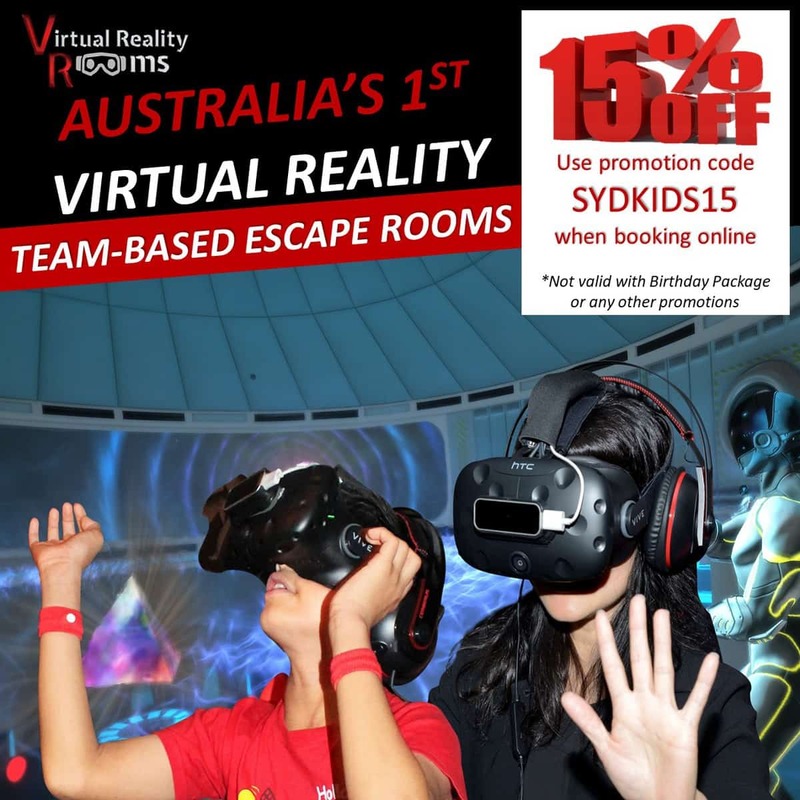 Alternatively, you might be interested in experiencing a ride with the 9D Action Cinemas. 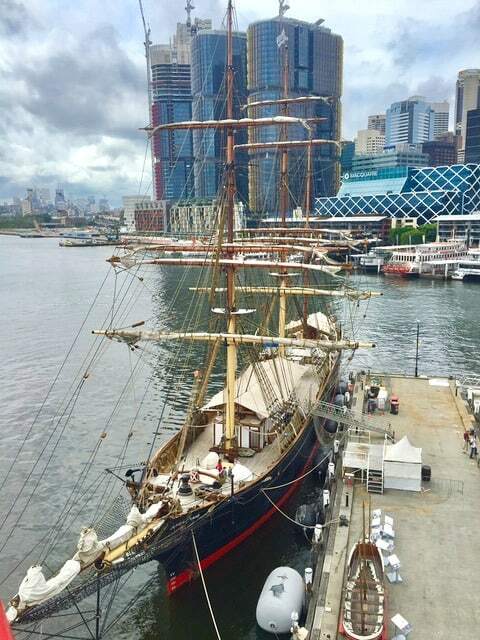 For accommodation, check out our article on Parkroyal Darling Harbour. Option 1: Visit the new entertainment strip at Barangaroo and Barangaroo Reserve. 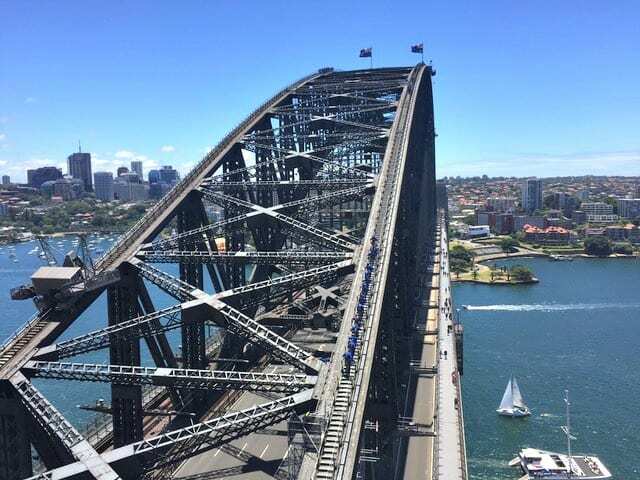 See views of the Harbour Bridge from another angle. There is always something going on in Barangaroo Reserve. Check the website here. 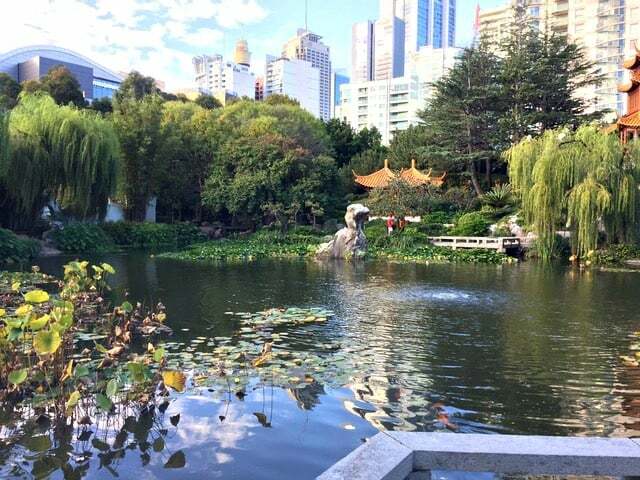 Option 2: Head to the Chinese Garden of Friendship (older children will have fun with its discovery map activity), discover Chinatown, and visit the Paddy’s Markets or the Powerhouse Museum. The Powerhouse Museum is a fantastic museum to take either little and older children. 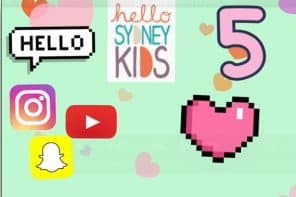 Here you can find the Hello Sydney Kids review of the Powerhouse Museum. 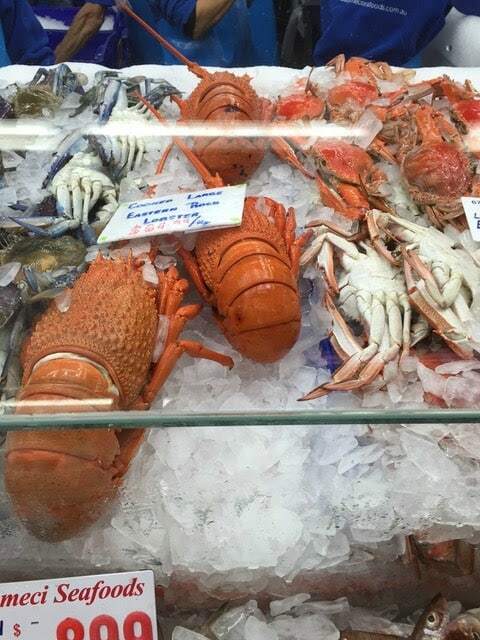 Option 3: If you are a seafood lover, then take the light rail (Chinatown stop in front of Paddy’s Markets) and have a feast in the Sydney Fish Markets. The Sydney Fish Markets is the biggest one in the southern hemisphere. An upgrade has been announced and we cannot wait to see it! Do something special on the last day of your holidays! Treating the children on the last day of holidays usually works quite well for us. It keeps the smiles until the very end. Little children tend to be a bit tired too, despite being holidays. However, check the weather forecast! No-one likes to see tears on the last day of the holidays. Although pricier than Featherdale Wildlife Park, Taronga Zoo is always a good way to spend the day. 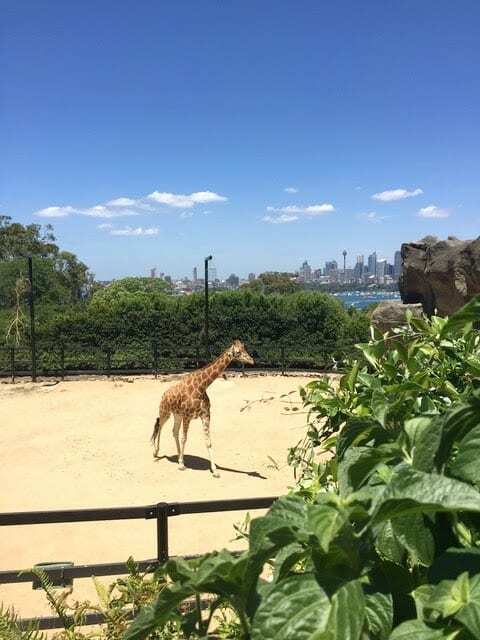 Taronga Zoo is well organised and offers more than seeing animals: Wild Ropes, Sky Safari, animal encounters and talks about different animals, be a keeper for a day and school holiday activities. 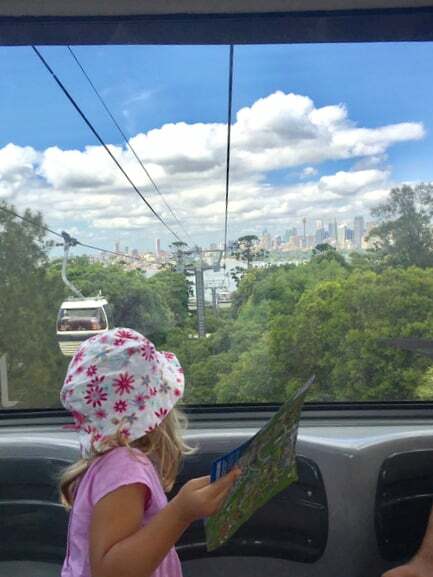 Read the Hello Sydney Kids guide to Taronga Zoo here. If you plan to go to Taronga Zoo, remember to purchase the tickets online to save some money. Also the Taronga Zoo offers $1 ticket on your birthday. Luna Park is a very popular amusement park with spectacular views of the harbour. But the rides are generally best for older children. Find an interesting review here. Before deciding if Luna Park is the right amusement park for your family, check this link. It tells you exactly what rides your children can go according to their height. As usual, buy online, and save! Luna Park also offers unlimited Rides Passes on Mondays during NSW public school terms. 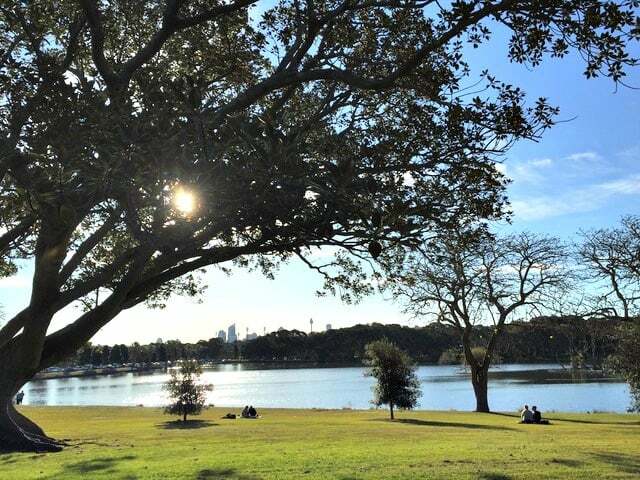 Live like a Sydneysider and spend a day in Manly, Watsons Bay, Bondi, Coogee, or discover Centennial Park. Don’t forget your swimmers if it is hot! 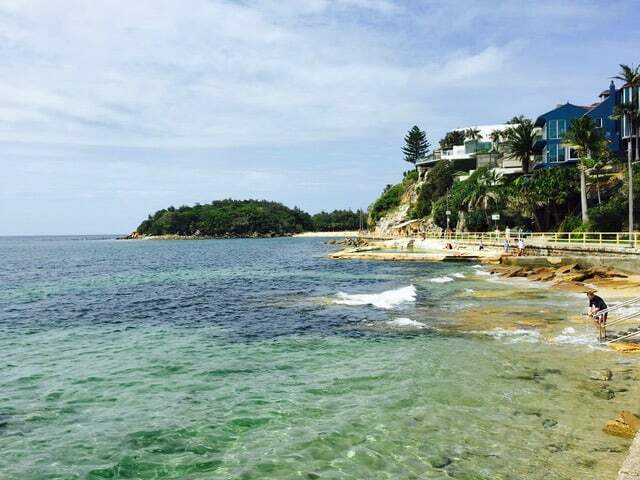 Sydney also has incredibly beautiful harbour beaches. Also, don’t forget that during whale season, there are several ferry tour companies in Sydney that offer whale-watching tours. Check out this compilation of ideas from our readers for families visiting Sydney. We hope that this information about Sydney is useful. 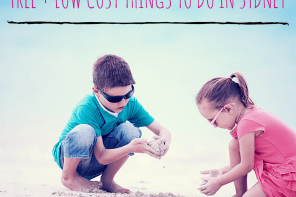 Sometimes it can be overwhelming to plan a holiday with children. Don’t try to see everything. Make a list of your family picks, negotiate with your children if they are old enough or choose something that you know that your little ones will really love to see. Enjoy! And, don’t forget to share your experiences and new suggestions with us. I’ve been to Sydney last year and I loved it. Too bad I haven’t read your post before going there as it seems like the ultimate guide everyone planning to go there should use, Seana!